April 24, 1963 – Mid-Pacific: Olga Martinez & The Fabulous Moolah defeated Ann Casey & Brenda Scott. May 1, 1963 – Mid-Pacific: The Fabulous Moolah defeated Ann Casey in a best 2 out of 3 falls match to retain the NWA world women’s title. September 18, 1963 – Mid-Pacific: Kathy Starr defeated Ann Casey in a best 2 out of 3 falls match to retain the NWA United States women’s title. June 28, 1967 – GCCW: Bobby Whitlock & Venus LaRue defeated Ann Casey & Don Carson. July 1, 1968 – WWWF: Barbara Owens & Judy Grable defeated Ann Casey & Donna Christianello. June 18, 1970 – WWWF: Helen Winters & Judy Carr defeated Ann Casey & Fran Conway. July 22, 1970 – NWA Mid-America: Ann Casey defeated Sara Lee. 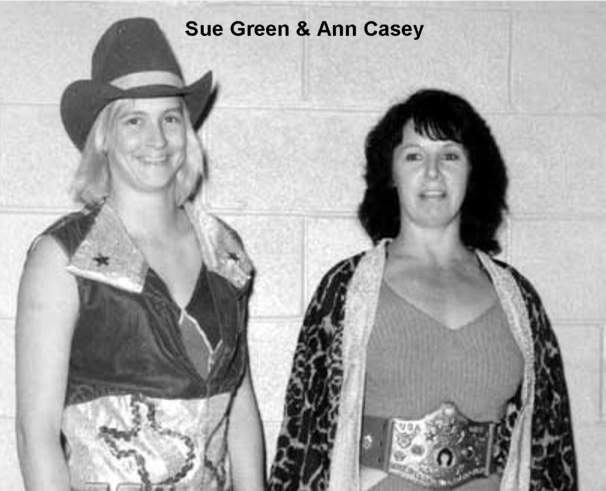 September 17, 1970 – NWA Mid-America: Ann Casey & Donna Christianello defeated Sara Lee & Vivian Vachon. April 5, 1971 – CWF: Bonnie Watson defeated Ann Casey. April 6, 1971 – CWF: Ella Waldek defeated Ann Casey. April 7, 1971 – CWF: Sherri Lee defeated Ann Casey. April 13, 17, 1971 – CWF: Bonnie Watson defeated Ann Casey. June 7, 1971 – NWA Mid-America: Cora Combs & Darling Dagmar defeated Ann Casey & Diamond Lil. July 10, 1973 – GCCW: Maw Bass & The Bass Brothers (Don Bass & Ron Bass) defeated Ann Casey, Ken Lucas & Ricki Starr. 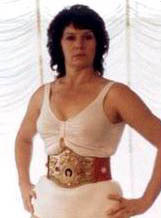 February 26, 1975 – WWWF: Ann Casey & Daisy Mae defeated Donna Christianello & Paula Kaye. March 28, 1975 – SECW: Fabulous Moolah defeated Ann Casey to retain the NWA world women’s title. July 24, 1978 – CWA: Ann Casey defeated Tracy Richards. August 14, 1978 – CWA: Ann Casey & Sherri Lee defeated Beverly Shade & Natasha. August 21, 1978 – CWA: Beverly Shade & Natasha defeated Ann Casey & Sherri Lee to retain the NWA world women’s tag team titles. May 4, 1980 – MSW: Ann Casey defeated Miss Natasha. May 27, 1980 – MSW: Ann Casey defeated Tracey Richards. Dale Pierce wrote: Though mainly known for wrestling in the south, Ann Casey did have bouts in the west. Sometime during the early 1970s she appeared at the old Phoenix Madison Square Garden in a mixed tag bout (fairly uncommon in this area). The bout was Ann Casey & Benny Mendeblis vs Marilyn Bender & Freddie Gomez.